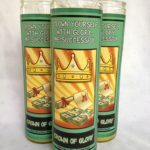 Shop online and save money on all your spiritual needs! ONLINE ORDERING 24 HOURS A DAY! ALL ORDERS OVER $400.00 SHIPS FOR FREE! 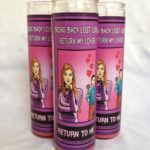 PLEASE NOTE: ** Lucky 13 Clover Spiritual Supply is a home-based Internet business offering traditional and custom products for hoodoo and conjure. We are NOT a walk-in, “brick and mortar” store that you can visit. We ARE an Internet only source for all things spiritual in the traditions of the South. You will be pleasantly pleased with your order and the quickness that it is handled and shipped to you with deliver tracking information sent to you. Our “live time” inventory will tell you immediately if an item is in stock or out of stock, so you are not kept waiting for items that will take weeks to get to you like other companies (not on custom products). 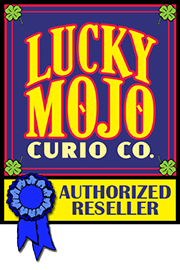 Lucky 13 Clover Spiritual Supply and now www.mysticcandleshop.com, is an online Internet retailer for spiritual supplies, candles, oils, herbs, sachet powers, bath washes, mojo bags, love charms, gamblers’ hands and other supplies for hoodoo and conjure work. We strive to follow traditional recipes from the South to produce the finest spiritual products available. This is not your regular botanica, as we ship nationwide and do not have the same items you will find in the other candle shops. Our products are meant for true root work, conjure and hoodoo. We understand the desire for fast luck, money and love; all things that everyone desires. 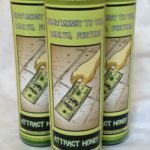 Our mission is to create magickal products for you to use to assist in bringing in the things that you desire. We ship fast! Shipping with US Postal Service 6 days a week! Our family heritage is from Beauregard Parish, Louisiana. Combining Acadian and Native American knowledge steeped in traditions of the enslaved ones brought from Africa and our ancestors speak to us when we do our spiritual work and guide us in all of our creations. 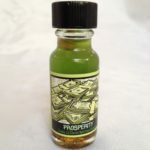 We use divination for your custom blended anointing oils to ensure you are getting the perfect oil for your situation. The business owner, Rev. Jacqueline has practiced hoodoo and conjure for many years, along with other Native American and Caribbean religious studies and initiations, and is knowledgeable in the magical properties of roots, herbs, and spices in the traditional Southern way. She has worked with many old time and well-known root workers. We thank you for coming to our website and hope you enjoy your visit. 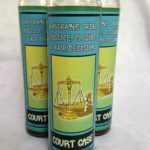 Please visit our blog weekly as we add products frequently of new spiritual products and offer one-of-a-kind items at special prices. 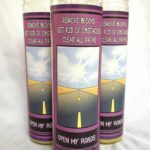 If there is a special oil or item you are searching for, please send us an e-mail of your request as we have an extensive collection of recipes in our shop that we can custom blend any spiritual oil you need. We use nut oils in our products, which may include almond, sunflower, peach kernel, olive, and other nut oils, or a blend thereof, which may be of a concern for some who have allergies to such products. We do not use synthetic oils in our products. “OMG did you guys get a direct flight to personally hand deliver my package to my doorstep? Just kidding. I was pretty shocked when my stuff got here within just 2 postal business days of ordering and one of them was a Saturday! You can betcha I’ll be back….” – A. 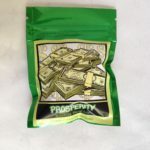 “I just received my order and I’m extremely happy!!!! Thank you so much for the free red brick dust. Every oil has an amazing scent even the evil one lol. Thank you for the prayer cards as well. I wasn’t expecting any of the extra stuff but I really really appreciate it an will be ordering again very soon! ! Bless you! !” – K.
“I LOVE the extra goodies you put in my box. WOW!” – J. Discreet packaging means nosy neighbors don’t know! Lucky 13 Clover is not a walk in store like traditional botanicas and candle shops. We sell on the INTERNET ONLY through our WEBSITE. This way, we do not pass on the costs of renting a storefront or building to you, the consumer, and this is a more economical way of doing business today. Again, we are an Internet business and you may send an e-mail to us or leave a message on the telephone for a return call. Remember, we do not counsel or discuss your personal situation (as this is a consultation and must be paid for to do so) but you can ask us if items are available or the status of your order. * Most our orders ship within 24-48 hours with the exception of custom orders (custom made, mojo bags, one of a kind) or if we close for holidays or private events.